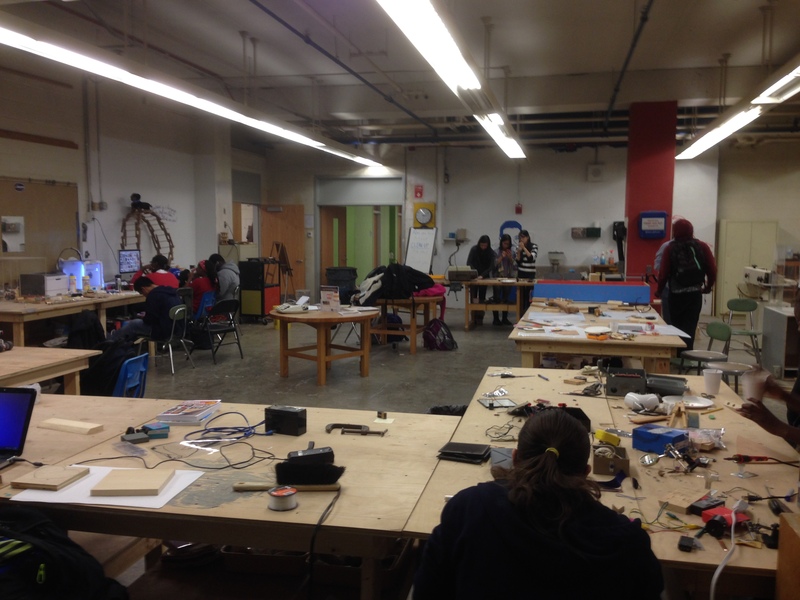 When Malden High School principal Dana Brown invited Brian Gravel, Tufts’ Director of Elementary Education and CEEO alumnus, and CEEO faculty to see what could be done to reinvent his school’s large and semi-abandoned woodshop last spring, everyone was excited about the possibilities. 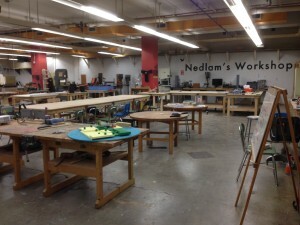 In response to discussions with Brown, Gravel, along with Tufts Computer Science professor Ben Shapiro, submitted an Early-concept Grant for Exploratory Research (EAGER) grant titled “Engineering Inquiry for All at Nedlam’s Workshop” to the National Science Foundation. The grant was funded in time to start work at the beginning of the 2014-2015 academic year. The first semester of the Nedlam’s Workshop project (Nedlam is Malden spelled backwards) was spent re-imagining the school’s existing woodshop space. Malden students and Tufts staff, led by CEEO Educator in Residence, Dan Wise, organized the materials, painted the walls, and added elements to make students feel welcomed. The staff and administration of Malden High School provided outstanding support, promoting the space and recommending students who might benefit most from the project. 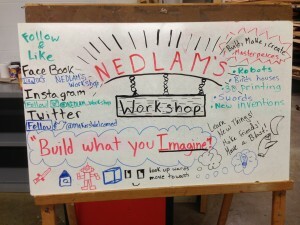 Over the course of the fall semester, over 200 students and staff came to Nedlam’s Workshop and, at its peak, the space was welcoming 25-30 students every day after school. These students, per the goals of the grant, were not ones who typically sign up for engineering programs. Over half of the participants were women and many were English language learners. 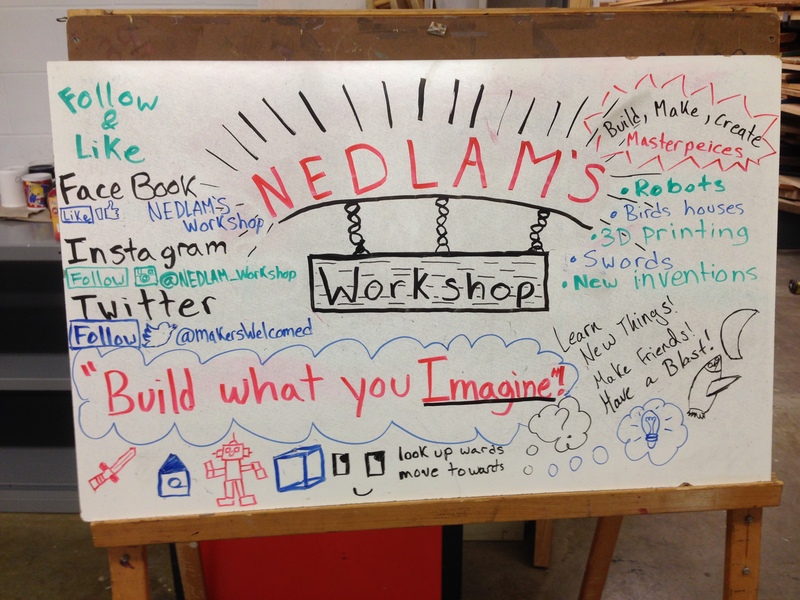 This spring, Nedlam’s Workshop staff and faculty are in the midst of designing and facilitating “Creative Design and Engineering,” a project-based engineering elective at the school. 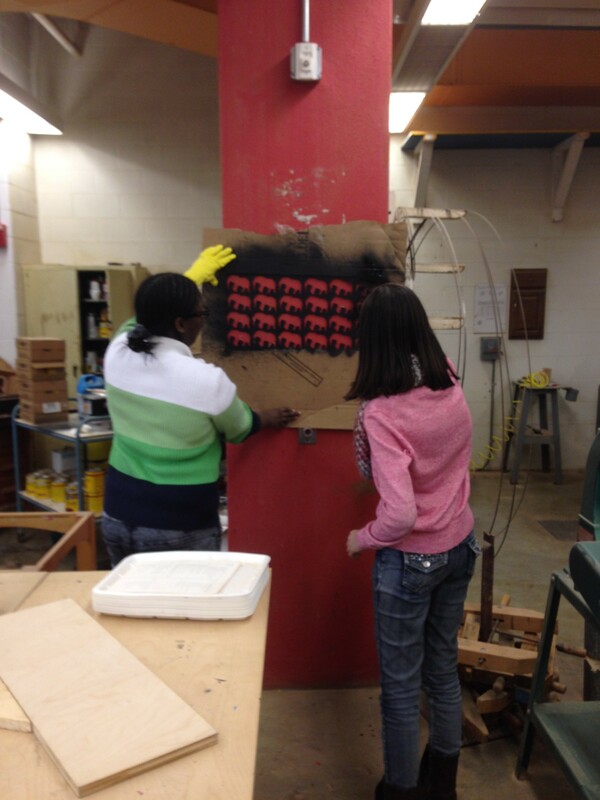 The class curriculum has not been predetermined in order to remain responsive to the students’ interests and work. The class has recruited a diverse set of twenty-one students that include twelve girls and nine boys that speak six different languages at home. In the elective, students are using digital technologies to address problems they face in their homes, school, and communities. For the first project, students used LEGO EV3 robotics kits to design devices that allowed them to charge their cell-phones safely in the backs of classrooms without having them stolen. Their creations ranged from password protected digital lockboxes to cases that moved when intruders approached. 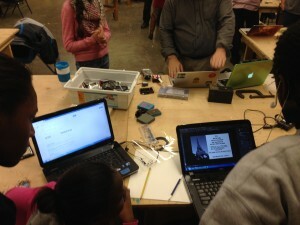 For the current project, students are using BlockyTalky, a toolkit for creating networked devices developed by Shapiro’s Laboratory for Playful Computation, and MIT App Inventor to turn the workshop into a “smart space.” The smart devices range from intelligent light switches that count people entering the room to a self-scoring foosball table. By exposing students to varied design projects and different technologies, the class is working toward an open-ended final project where students will pick a personal or community-based problem to address and then design a solutions using any of the technologies they’ve experienced. The students in the elective are doing amazing work constructing and programming their ideas. The findings of the research are intended to help build a foundation for changing the way schools and teachers see these non-traditional STEM students and the way these students see the possibilities for themselves. Alien Invaders & French Fries: Robotics at Tufts Fall 2014	Welcome!